You are with the one person you truly wanted to be with. You are in the right place, gazing into each other’s eyes, two halves of one same desire. With the night as a backdrop, appetites go beyond the savouring of a good meal. This wine cannot survive without passion. It is a three-way relation. DINE WITH ME TONIGHT is the perfect accomplice for moments of thundering passion. Technical notes: This wine, with a strong red color, has a fruity bouquet with notes of plum, dates, tobacco and cassis. In the palate it presents a good fruit/acidity relation, with soft but persistent tannins and a medium/long finish. 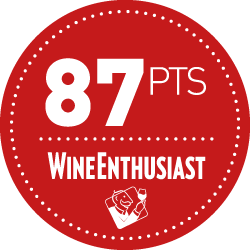 Dine With Me Tonight Red – 87 pts | As inviting as its name, this is a ripe, full-bodied black-fruited wine. For the moment, it has some hard tannins and will be better in 2016, although the rich structure makes it a big, dense wine for food even now. 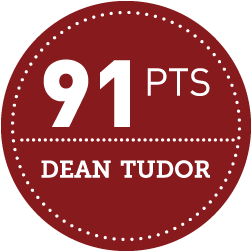 Dine With Me Tonight Red – 91pts | The renowned Canadian sommelier Dean Tudor tasted and evaluated our wines. Dean Tudor shared his opinion on Wine With Spirit’s concept: “It is a great concept, to take some of the guesswork out of wine and food matching for unsure beginning consumers and millennials” said Dean Tudor, ” There are stories to read on each label”. 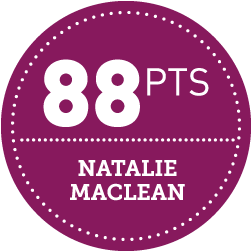 Dine With Me Tonight Red – 88pts | The renowned Canadian wine writer Natalie MacLean who was named the World's Best Drinks Writer at the World Food Media Awards in Australia has tested and evaluated our wines. “You can play a lot with this wine since the label is very cool. Actually, it is a good example of a top wine producer. Young, with a sense of humor and a good taste for design but with the expertise to make really good wines.” – Alykhan Karim – is SONOMA’S CEO and a big fan of Spanish tempranillos, California Pinot Noirs and well spiced food. GALICJA VITIS Dine With Me Tonight Red has been awarded the Gold medal in June 2015.
INTERNATIONAL WINE CHALLENGE Dine With Me Tonight Red has been awarded the Bronze medal in May 2014.
INTERNATIONAL WINE CHALLENGE Top 5 Innovation Award - Dine With Me Tonight Red has been awarded the Top 5 Innovation Award by Vinhos de Corte, a Brazilian reference wine critic, highly respected by the wine community in South America, which has considered our wines as the most innovative in the market.